Despite broad scientific consensus on climate change, public views may not always correspond with scientific findings. Understanding public perceptions of climate change is thus crucial to both identifying problems and delivering solutions. Investigations of climate change that integrate instrumental records and people’s perceptions in the Himalayas are scarce and fragmentary compared to other regions of the world. We analyzed nationally representative data (n = 5060) of local peoples’ perception of climate change in Nepal, and assessed annual and seasonal trends of temperature and precipitation, onsets of seasons, and trends of climate extremes, based on gridded climate datasets. We firstly used quantitative and spatial techniques to compare local perceptions and the instrumentally observed trends of climate variables. We then examined the possible association of demographic variables, place attachment, regional differences, and prior understanding of climate change with the accuracy of people’s perceptions. Instrumental evidence showed consistent warming, increasing hot days and nights, and increasing annual precipitation, wet spells, heavy precipitation and decreasing dry spells in Nepal. Our results indicate that locals accurately perceived the shifts in temperature but their perceptions of precipitation change did not converge with the instrumental records. We suggest that, in future as exposure to changes in weather, particularly extreme events, continues, people may become more likely to detect change which corresponds with observed trends. 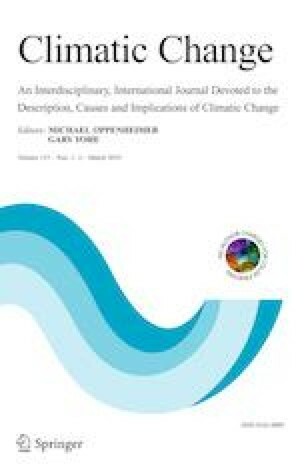 With some new methodological insights gained through integrating community perceptions with observed climate data, the results of this study provides valuable information to support policies to reduce climate-related risk and enhance climate change adaptation.